Enjoy a guided tour of the Laurie Plantation, including round-trip transportation, with this 4-hour small-group trip from New Orleans. Visit the historic plantation property in Vacherie, Louisiana, including the original manor, gardens, and grounds, with a guide. Relax with transportation taken care of in a luxury executive class van for up to 13 people. Your small-group Laura Plantation tour begins the minute you're picked up at your hotel. Your driver will narrate your approximately 1-hour drive to the Laura Plantation, covering topics such as French Quarter history and architecture, the growth of New Orleans, the impact of Hurricane Katrina, and some of the basics of Louisiana bayou country and wildlife. Upon arrival at Laura Plantation you will be greeted by gift shop employee who will provide you your tour tickets, give you a few minutes to grab refreshments, or use the restrooms before the tour begins. Laura Plantation's knowledgeable and experienced tour guides will then take you on a 1-hour guided tour of the classic Creole Manor, gardens, and grounds. 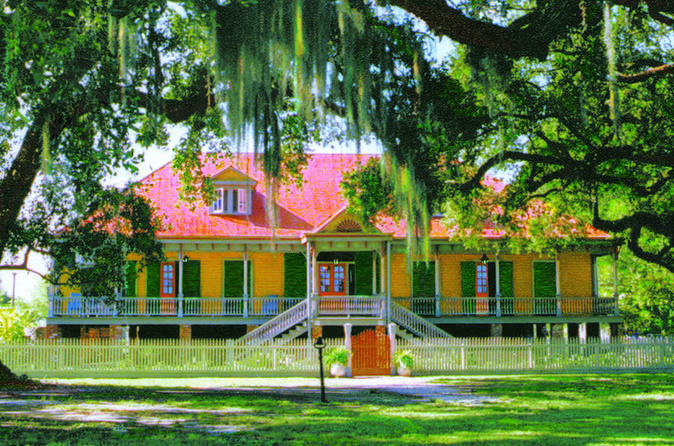 This includes views into almost every room of the manor, a narrated tour of replica slave cabins, and an extensive education on the traditions and unique aspects of Creole culture and plantation life. Once done with the guided tour, you will again will be given some time to peruse the gift shop, get refreshments, and use the restrooms. It's also highly recommended to address any additional questions about Laura Plantation to the staff at this point. From here the tour wraps up with a 1-hour narrated drive back to your hotel in the comfortable executive-class luxury van.